As you probably know, my Blog post series, “From My Desk to Yours …” has been a series of educational tips aimed at helping you become a better writer as well as ease your frustrations with article reviews. I love writing them and I enjoy getting input from you that I would not normally receive. This post is going to be a little different. I also wanted to thank you for your hard work and dedication in this past year. We’ve learned a lot together. Through my posts, as well as Chris and Marc’s, we’ve had many interesting debates and usually achieved mutual understanding. The opinions shared here and across our other communication channels have helped us to improve the service we provide to you each and every day. I even appreciated reading the 480+ comments on one of the most recent posts …Thanks for keeping me busy. So I won’t close this year with a post that teaches you to “do this” or “not do that.” Instead, I’ll close with my final post of 2009 by saying thank you all for your continued hard work and dedication to your success as an Expert Author. I’m proud of your achievements and I look forward to many more hours/days/weeks of learning together. You can expect to see my series resume the first part of 2010. If you have any thoughts about past “From My Desk to Yours …” posts, or maybe some ideas for future editions, leave a comment to let me know. And don’t forget, the Holiday Mug Mini-Challenge ends January 1st! So get those last articles written and submitted before it’s too late! First it is exciting, new decade coming so I feel like we got to do lots in this one! I feel glad to see your blog as I just decided that this year I will start writing- and got a birthday present – a new blog. Strange, how I got to writing in English. My English used to be so bad that when I first met my wife – could not understand half of what she said- the other half I could not hear (It was in a noisy pub). I designed few environmental gardening products and started by selling online- so to improve seo, now learning how to write- but after all- what can be more useful tool than writing in English? I am looking forward to read into your blog!! Hi Penny! I’m a pretty new reader to this blog so I haven’t read any of your other posts but I just wanted to say thank you for all you do here at EzineArticles. Over the last few months I’ve gotten a lot more active with submitting articles and already am seeing the results of it. Looking forward to the mug challenge. I’ve got my 25 submitted and just waiting to see that they are all approved so I can send in my email to get my mug. Happy New Year, Penny! Hope you have a great one. You’ve been a big help both to me personally and by keeping great articles at EzineArticles. Looking forward to a great 2010 with you and the whole team! I’m glad you asked us if we had any suggestion, because I have one. I don’t know if this is part of what you do, but it is related to our articles’ edition, and also related to dishonest authors. I believe that your system should be able to detect articles that are mere repetitions (in different words and sequences) so that you would be able to eliminate them from EzineArticles. I don’t know how you could implement my idea, but it would be very good if only real writers, or only real experts that respect their audience could have the privilege to submit their articles to EzineArticles.com, which is the top article directory online. I understand your frustration with “authors” who spin and rewrite content to get more articles on article submission sites such as EzineArticles. However, I’m curious why it seems you have a personal vendetta of some sort and have posted this complaint to nearly every blog post made here over the past week when it doesn’t seem like you have checked all of your facts. They are well aware of the software programs that some “authors” use to try to cheat the system. It makes them as mad as it makes you. EzineArticles does, in fact, ban authors who they find are using spinning software to rewrite content. Also, those authors who have made Platinum and then begin writing too many articles that sound similar are often downgraded to Basic Plus and have their submissions reduced until their content is back up to par. Very recently EzineArticles has taken a stricter stand on this and Chris even said in one post that they purchase many of the well known software programs that “spin” so that they can reverse technology it and use that to help spot articles that have been written using this software. They also have a strict system and human editors for spotting localized keyword abuse. (ie. a person writes an ordinary article on dog grooming and implants their favorite city- “San Diego dog grooming” as keywords when the article has nothing to offer which is specific to San Diego.) These articles are also rejected. No other article submission site that I know of does this and I have used hundreds. They are doing FAR more than any other online article directory to spot this type of dishonest content and remove from their site. I would say their system is very far advanced when it comes to finding duplicate content and spun articles of all types. Also, their system already does count how many times a word is repeated in an article. If you use it more than a certain percentage of keyword density, your article will be rejected until you edit it to remove the excessive use of that word. Nearly all of the complaints that I hear you post here have already been addressed by EzineArticles. Perhaps you are seeing some who slip through the cracks. Occasionally the same thing happens to me. Just yesterday I saw an article that was nearly an exact copy in parts of one I had written. I’m quite sure this author used my ideas and rewrote them in such a way that it would pass through the system. If it is something like this that has gotten you upset, then perhaps you could privately (or publicly) discuss the specific problem that has you riled up. 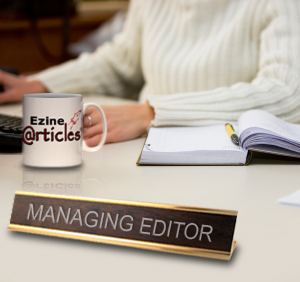 I’ve found that the staff at EzineArticles can be very helpful in working through problems their authors face. They want us to succeed because when we do, they succeed as well. I’m glad because all that was already done. I had the impression that EzineArticles’s system was making mistakes since it considers many of my articles as duplicated copies while I only repeat basic sentences, and because I saw a marketer that spins all his articles becoming a top author here. I was not making complaints, only trying to solve the existent problems, with a spirit of cooperation. I find the discussion above very lively and informative. Thank you all. I am new to EzineArticles.com and I submitted my first article today and then found your post on this blog. I do feel that this team is doing a great job of a difficult situation and I am glad that I am now affiliated with such a great service to the community. Being the second day of the year I want to take this opportunity to wish you all, the staff and expert authors of EzineArticles.com, a very happy and prosperous new year. I also hereby make my resolution to do my best to market Seychelles Islands Beaches this year through e-zine articles. And I resolve to do it through this service. I really appreciate the fantastic job you and your team continue to do in helping us help ourselves. This site provides some of the very best article marketing ideas available on the Internet. Thanks for the unfailing support and the continuous improvements that have been made in the service. My plan this year is to use article marketing as a major part of my promotional efforts to market Luxury Condominiums in Barbados. I have created a new website to focus on this real estate segment so I plan to write an article every week this year. Hope to share the results in a report at the end of the year. Hope you experience continued success in the new year.